Location, Location, Location! 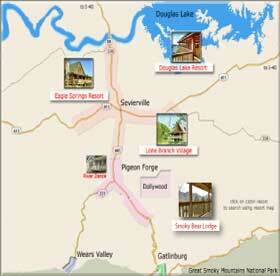 Luxury cabins just minutes away from the area attractions? Take a look at the Lone Branch Resort! well-needed get-a-way, the Douglas Lake Resort is truly one of a kind. cabin at the Eagle Springs Resort that will take your breath away.